Brooklands 1000 Mile Race Print. Printed on thick paper, the total print size is 30 x 40cm (approximately 12x16 inches) There is a plain border of about 1cm around the image to allow for framing. Please note that all of our prints are high quality items. Printed on 265 gsm photographic paper, and not cheap copies as you see else where.At Image Post Ltd we only have posters and prints of a high quality and standard. Brooklands 500 Mile Race Print. Printed on thick paper, the total print size is 30 x 40cm (approximately 12x16 inches) There is a plain border of about 1cm around the image to allow for framing. Please note that all of our prints are high quality items. Printed on 265 gsm photographic paper, and not cheap copies as you see else where.At Image Post Ltd we only have posters and prints of a high quality and standard. 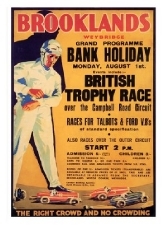 Brooklands Bank Holiday Races Print. Printed on thick paper, the total print size is 30 x 40cm (approximately 12x16 inches) There is a plain border of about 1cm around the image to allow for framing. Please note that all of our prints are high quality items. Printed on 265 gsm photographic paper, and not cheap copies as you see else where.At Image Post Ltd we only have posters and prints of a high quality and standard. Coupes Paris 1939 Race Print By Geo Ham. 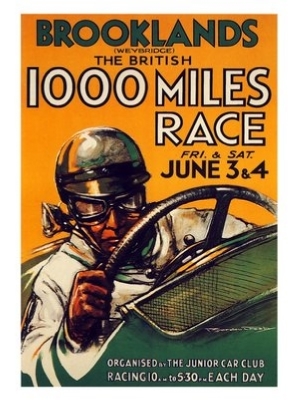 Printed on thick paper, the total print size is 30 x 40cm (approximately 12x16 inches) There is a plain border of about 1cm around the image to allow for framing. Please note that all of our prints are high quality items. Printed on 265 gsm photographic paper, and not cheap copies as you see else where.At Image Post Ltd we only have posters and prints of a high quality and standard. 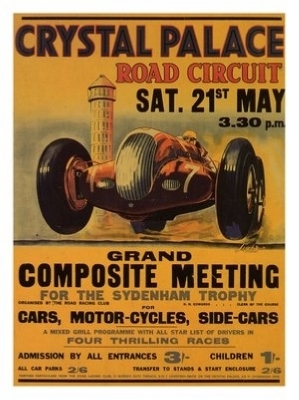 Crystal Palace Road Races Print. Printed on thick paper, the total print size is 30 x 40cm (approximately 12x16 inches) There is a plain border of about 1cm around the image to allow for framing. Please note that all of our prints are high quality items. 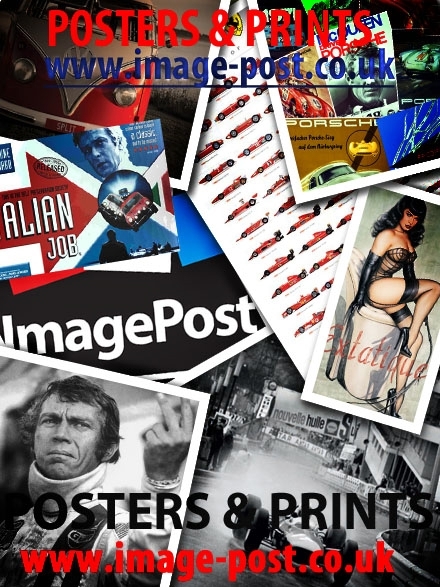 Printed on 265 gsm photographic paper, and not cheap copies as you see else where.At Image Post Ltd we only have posters and prints of a high quality and standard. 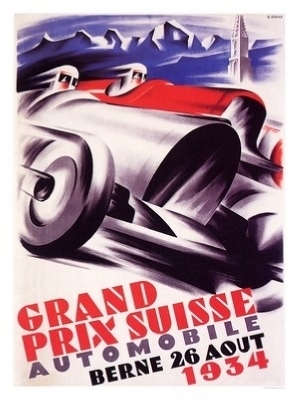 Grand Prix Suisse 1934 Print. 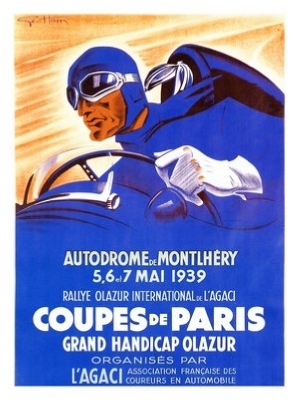 Printed on thick paper, the total print size is 30 x 40cm (approximately 12x16 inches) There is a plain border of about 1cm around the image to allow for framing. Please note that all of our prints are high quality items. Printed on 265 gsm photographic paper, and not cheap copies as you see else where.At Image Post Ltd we only have posters and prints of a high quality and standard. 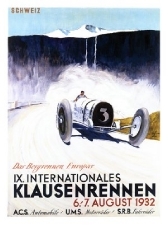 Klausenrennen 1932 Hill Climb Print. Printed on thick paper, the total print size is 30 x 40cm (approximately 12x16 inches) There is a plain border of about 1cm around the image to allow for framing. Please note that all of our prints are high quality items. Printed on 265 gsm photographic paper, and not cheap copies as you see else where.At Image Post Ltd we only have posters and prints of a high quality and standard. 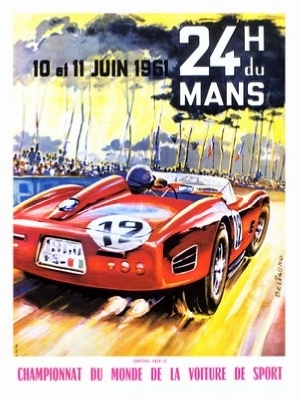 LeMans 1961 Print. 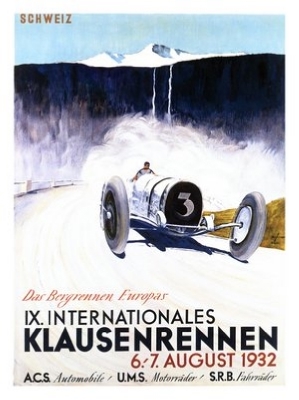 Printed on thick paper, the total print size is 30 x 40cm (approximately 12x16 inches) There is a plain border of about 1cm around the image to allow for framing. Please note that all of our prints are high quality items. Printed on 265 gsm photographic paper, and not cheap copies as you see else where.At Image Post Ltd we only have posters and prints of a high quality and standard. 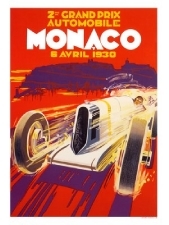 Monaco Grand Prix art poster 1930 Printed on thick paper, the total print size is 30 x 40cm (approximately 12x16 inches) There is a plain border of about 1cm around the image to allow for framing. Please note that all of our prints are high quality items. Printed on 265 gsm photographic paper, and not cheap copies as you see else where.At Image Post Ltd we only have posters and prints of a high quality and standard. Monaco Grand Prix art poster 1933 Printed on thick paper, the total print size is 30 x 40cm (approximately 12x16 inches) There is a plain border of about 1cm around the image to allow for framing. Please note that all of our prints are high quality items. Printed on 265 gsm photographic paper, and not cheap copies as you see else where.At Image Post Ltd we only have posters and prints of a high quality and standard. 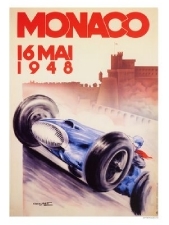 Monaco Grand Prix art poster 1948 Printed on thick paper, the total print size is 30 x 40cm (approximately 12x16 inches) There is a plain border of about 1cm around the image to allow for framing. Please note that all of our prints are high quality items. Printed on 265 gsm photographic paper, and not cheap copies as you see else where.At Image Post Ltd we only have posters and prints of a high quality and standard. 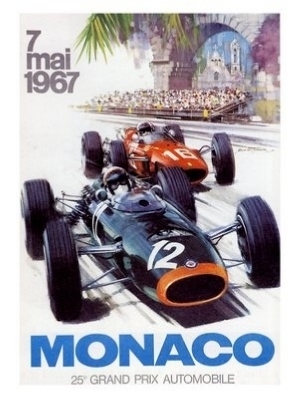 Monaco Grand Prix art poster 1967 Printed on thick paper, the total print size is 30 x 40cm (approximately 12x16 inches) There is a plain border of about 1cm around the image to allow for framing. Please note that all of our prints are high quality items. Printed on 265 gsm photographic paper, and not cheap copies as you see else where.At Image Post Ltd we only have posters and prints of a high quality and standard. Mounted 9 images of Retro Motor Racing (Monaco) vintage poster. Art Print 25.5 x 30.5 cm) approximately 10x12 inches. Printed on thick paper. 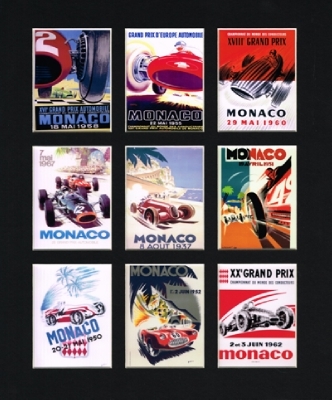 There is a1cm plain boarder around the image for the purpose of mounting or framing.You get all the Monaco prints on one mounted item all cut to size for a stock of the shelf 10 x 12 " frame This mounted print will fit all standard 10 X 12 " frames. Please note that all of our prints are high quality items. 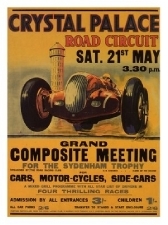 Printed on 275 gsm art paper, and not cheap copies as you see else where.At Image-Post Ltd we only have posters and prints of a high quality and standard. 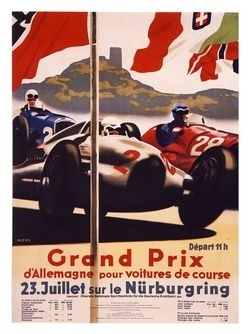 Nurburgring GP Art Print. 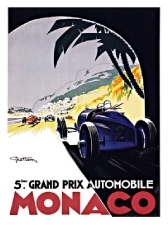 Printed on thick paper, the total print size is 30 x 40cm (approximately 12x16 inches) There is a plain border of about 1cm around the image to allow for framing. Please note that all of our prints are high quality items. Printed on 265 gsm photographic paper, and not cheap copies as you see else where.At Image Post Ltd we only have posters and prints of a high quality and standard. 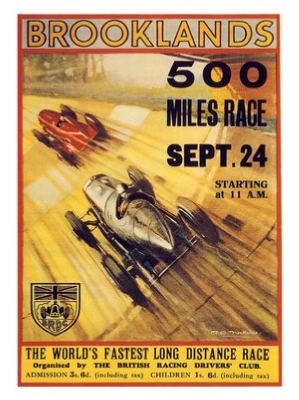 Mounted 9 images of Retro Motor Racing vintage poster. Art Print 25.5 x 30.5 cm) approximately 10x12 inches. Printed on thick paper. 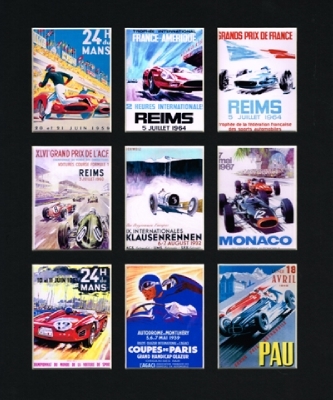 There is a1cm plain boarder around the image for the purpose of mounting or framing.You get everything from Le Mans to Monaco to Reims and more on one mounted item all cut to size for a stock of the shelf 10 x 12 " frame This mounted print will fit all standard 10 X 12 " frames. Please note that all of our prints are high quality items. Printed on 275 gsm art paper, and not cheap copies as you see else where.At Image-Post Ltd we only have posters and prints of a high quality and standard. Copyright Image-Post Limited 2019©. All Rights Reserved.